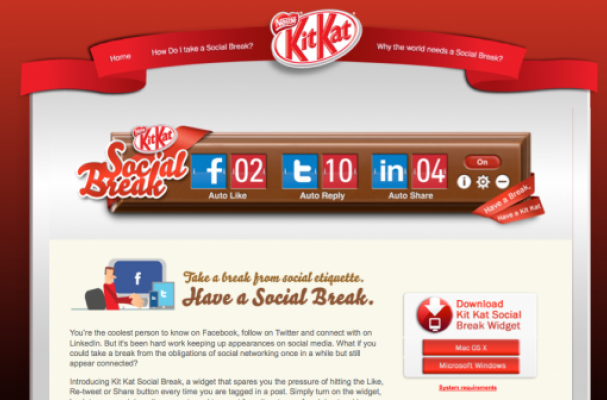 A new Kit Kat Social Break application allows users to link their Twitter, LinkedIn and Facebook accounts to have the chocolate brand automatically send updates to give you a "social break." The app, created by JWT, creates random messages and replies to comments and tagged posts to help maintain their social media presence while having a break -- for a Kit Kat, presumably. For another way Kit Kat is engaging with its users, check out this recent augmented reality campaign.